I had a really crazy day getting everything ready for me to head back to school on Monday and with fear and nervousness creeping in I wanted to thank God for sending me a reminder that I should cast all my fears and cares on him. I am so thankful that His plan for my life is greater then mine will ever be. I know that somebody out there is waiting for me to graduate to help them through my social work degree and I can’t wait for God to put them in my path and for Him to use me in a way that nobody else can!! I have always reflected on the past year, at around this time. With 2015 behind us, and 2016 just starting. For most of us this means New Years Resolutions. This year I decided that I wouldn’t make one. You probably want to know why, well here it goes: I am really tired of making empty promises to myself. Last year I made so many resolutions that It was so overwhelmed and when I look back I really regret it. When you make these kind of promises and you don’t keep them, you kind of feel like a failure. I had all these goals to complete, and I never did them…… can you say added pressure. The one rule I gave myself in 2016 was to live in the moment…. good or bad, which leaves you not regretting any moment you are in. I really feel that with that kind of mind set you can really change your way of viewing the world…….which can lead you to changing the world and making it a better place to grow. I think we all make decisions in life that changes us. change is good, but hard to adapt to. It defiantly is not something I look forward to. With each new year that takes place a spark of change happens in us. We either accept who we have become, or we make changes and better ourselves. Let this year be the year you decide to grow and better yourself, let it be a year of blessings. Moments that you let happen and didn’t plan for. Let this year spark passion for something or someone. Let this year be a year to remember, and totally unforgettable. Let this year be a year that you find God and stick to the path He choose for your life. 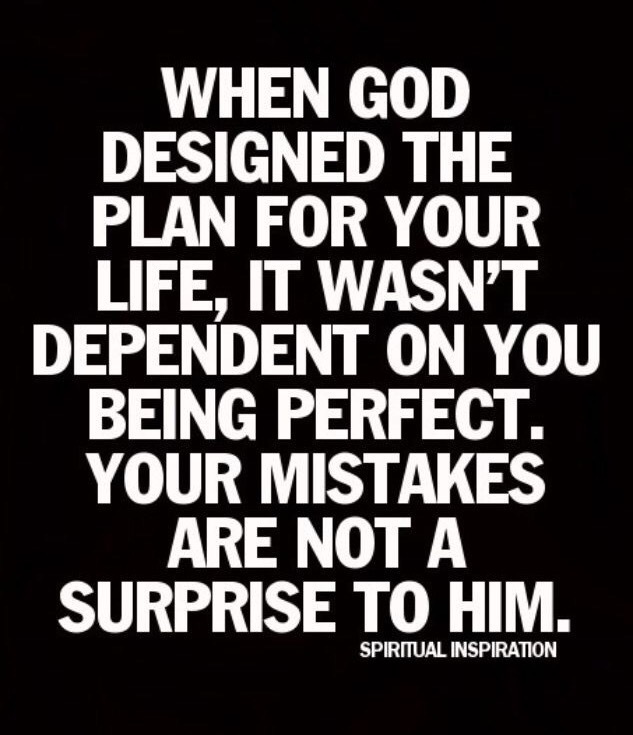 God has a plan for you this year. You may have a glimpse of what it may consist of, but don’t lose sight of His love for you. Its greater then anything you can ever do, say, think of, or become. He created you to have passion for all your goals, just promise me that you will consider His plan, His way and His light this year. Ringing in 2016 & Wishing you a safe and happy New Year! This week as been tough, I was never expecting or anticipating any of the things that did happen to me. Have you ever felt like just hiding under the covers, where everything is safe. I wanted to hid out so no one could find me. I had every intention of sleeping in last week, but life started to become real to me. I had a constant reminder from my mom to go to my college to buy books and check on some of my scholarship forms. (moms you can’t live with them but you sometimes can’t live without them). To make a long story short, lets just say that things didn’t turn out the way I had planed them to go. I was upset that I didn’t qualify for my scholarship because I didn’t take the required amount of hours. (lets not get into all the major details). So as I am driving back home from school, I started thanking God and praying for understanding for this situation. To be honest I was scared, how was I going to pay for books and a quarter of my tuition. It really got me thinking of how many times we get under the covers or a situation wanting to comfort ourselves, instead of letting God be our comforter. We might think that we have it all set and planed out but sometimes God has to intervene and change things up so we can see the bigger picture. That theory can also apply to relationships of any kind. There are days like Wednesday when I wished there was someone to be there for me, to take my hand and comfort me, to listen to all my issues, give me guidance and advice when I need it. I think I even said out loud don’t I deserve all of those things to be happy and be in constant care of a significant other. But reality came fast and Gods silent words came rushing like a river. Waiting for Gods timing is rough for us humans. We want everything now and done to perfection. I was reading 2 Peter this morning and it reminded me that if we continue to wait on the promise of God then we wait on His perfection for our lives. I find myself in this secret hiding place saying what I have is more than enough, and adding a companion right now would only add to the amazing things that I already have in my life! Even though I wanted love, comfort and guidance from a person I haven’t met yet. I found all of those things from the friends and family I already have and that’s worth more then any guy any day! I heard this saying the other day, when there is no understanding about what’s going on in your life start praising God in the hallway before He opens the door for you. this has been so true, I have been going through some stuff and the more I just start giving thanks to God for all He has done instead of complaining of all the things he could have done. God has given me a lot to be thankful for and with Thanksgiving coming up in a couple of days I want you to think for a moment of all the things you are Thankful for…… is it your family, your friends, your Dog, your freedom. I am thankful for freedom to Praise God freely and to born in a country that has so many great opportunities….. and that I can be anything I want, the dreams and goals are endless. I am so thankful for my parents for loving me unconditionally, for supporting and believing in me. I am thankful for great friendships and companionships. So this week while you are praying and asking God what you should be thankful for….. take a deep breath, and let your mind go to a place where you can find it…. where your passions lead you….. Did you find it? Good! Start giving God praise because without Him there would be nothing for us to be thankful for. Now don’t be afraid there is power in praise. Can we honestly say that we Love all the time, 24 hours a day, 7 days a week, 365 days a year. Sometimes we Love without really knowing. I was in that situation a little while ago. I fell in love with someone, but because of our deep friendship….He really didn’t think much of it. God loves us 365 days a year, 7 days a week and 24 hours a day….Even when we mess up, have a bad day or even fall flat on our face! Love can do that, it can make us feel like we deserve something we were never truly given or received in the first place. I really want Love to be magical, honest and true, but love is not a fairytale….it never will be. God loves us so much that we don’t even have to imagine a fairytale in our heads. He created one for us, even though we can’t see it, feel it or even know it just yet we are put in a place where it is created around us. Can you imagine loving someone 365 days a year for how long you have been living. Wow right, just think about this, I am 20 and for every day I have been living God has loved me 7,300 days. I look at those days and can’t even explain to you how I am feeling. Not everyone is going to like you, not everyone is going to love you unconditionally like God does, but isn’t His opinion of you the only one that matters. isn’t his love the only one that should sustain us and push us forward. My best friend reminded that there is someone out there just for you, and I truly believe that. Wanting that person to come fast or to be more present, is something I want. I really want to be someone’s Women of God Wednesday, and someone’s Throw Back Thursday. I KNOW ITS SILLY!! but I girl can dream. I know my prince is out there…and I know I have to wait on Gods Timing for both of us to walk into each others lives. I just hope He is praying for me as much as I am praying for Him. Today you might feel like laughing because everything that was supposed to go right went totally wrong, and the things that were wrong went flawlessly perfect. I know when we truly love someone we tend to get into that right and wrong mind set. Why can’t we love without boundaries, without sticking someone in a box and letting them only grow so much. Love to me has never really workout fairly, I am talking about fleshly love. I tend to be everyone’s best friend then there one true friend. And for 19 years of life I can honestly say that what I have to offer to that one person I do date or end up marrying is that I saved everything just for that one person. That after waiting for you I have learned a lot about myself and prepared myself to love without control or wanting a perfect life that we realistically can’t have. The people we love deserve the very best from us, I understand that we are human we will always let people down. But if you think about it Jesus loved us so much that He laid down His perfect and blameless life. Not because we deserved it, we totally didn’t. But because He saw us at our potential to love one another. I really want people to understand that true love comes from the heart, that when we give openly our hearts to God, He never lets us down. It may seem like He is a hundred miles away but that’s when He wants us to pull in, and meet Him right where we are at. Love isn’t about falling down and staying there (Jesus didn’t even do that) its about getting up and standing strong. Having faith that tomorrow is going to be a better day. You may feel that the struggle is always going to be there, or that depression is never going to stop being a problem for you, but the answer is “it can be.” you have to have faith you have to know that Jesus is on your side and that the person you are now can change, you don’t have to be that person, you don’t even have to remember that person. God makes you a new creation, if you let Him. He creates a new person inside of you. He wants you to be happy, to enjoy life, to be successful. In this moment you can change, you can be who He has called you to be. I have a feeling that most of us at one time or another want to be loved by someone. We tend to show off trying to gain the other persons attention, we want to show them that we are worthy enough for their heart and that nothing else should matter. After seeking God on what it means to truly love, I was puzzled. I thought I had it all figured out. But deep down inside I was looking and believing what the world thought was love and soon enough it begin creping into my heart. I thought if only I had this…… if only I was prettier…… if only I was smarter…. if only…. if only (you fill in the blank) everyone plays this mind game even if they don’t admit to it at first. For a while I had this feeling that I deserved to be happy and in love, just like everyone else, until I realized that happiness was a feeling that YOU CAN CHOOSE. When you choose to be happy you feel loved. Today was a life changing day, it showed me that God sets us in the wilderness for a reason, He wants us to get ready and be equipped for when he tells us to go do something. For a while I was patiently waiting for Him to tell me to go. to nudge me. And then I kept waiting….. and waiting…. and before I knew it I had been waiting what seemed like weeks which turn into months and years until what kept me waiting was the fact that I had fears. Fears that were blocking the road way to God. I kept saying here I am God use me, let me Go do your will, He clearly said your not ready, you haven’t given me everything. You still have fears, and doubts and if you want go do my work you have to fully trust in my Perfect Will. So there I was going through the laundry list of things: I have fears about my future like finding the right person God has called to be my husband. I worried about crazy things like money and school. God clearly has all of those things under control he doesn’t need me to worry about those things, he planed out my future even before I was born. He created my husband just for me, he knows what I am looking for and he knows the right time for him to come into my life. Love comes from the inside out, love isn’t something we live for its something we strive for. Love is progress, it grows over time and so does our Faith in God it never stops growing and changing. Let God be the one that changes you, don’t go off on your own and start revamping and renovating your heart, stop trying to move things in your life. Let Him change your heart, mind and spirit. He created you for a purpose never forget that. Love is an ever changing power, so is Jesus and He never lost sight of us. I think most of the time God is soooo patience with me. He is constantly showing me that being stubborn isn’t going to work anymore. Have you ever been told, maybe by a parent to go do something and you say wait a minute or I will get to it. That’s kind of how God feels when we don’t listen the first time. Our parents get disappointed and start losing trust in our words when we don’t jump up to do what they ask. I feel that God kind of does the same thing, He takes a step back….. and back….. and back until He is almost out of the room. I have experienced what it means to be at a crossroad with Jesus. Do you listen and do the right thing or you just turn your head and say maybe another time. I have recently gotten into the habit of saying maybe there won’t be any other time……. maybe this is all you get. I have been waiting a long time for things to start picking up in my life, to start moving and changing. It wasn’t until I started feeling that things were holding me back from blossoming into my full potential with Christ. That’s what made me want to start fasting, to start giving up the junk in my life. To say here I am God, use me. After really praying now for ten days of wanted to find Gods unconditional Love I think I found it, I think God reveled that He wants us to not only love others but love them the way that Christ Loves the Church. To treat others with high honor even when they don’t deserve it, to show mercy and grace when people do things wrong, to forgive as Jesus has forgiven us. Unconditional Love is about loving the person even when you don’t know much about them. Giving every piece of who you are and seeing where it takes you. I believe in true love, I know that God has my prince out there waiting for me…. and at the right time he will come. Life as it is now is great but life after prince charming is going to be amazing. But that’s why we have Patience…… Right? Have you ever left so alone, even though you have so many people around you. That was me all last week. There are days when I just felt like if I hide under my covers the world would never miss me, but truthfully the people might. I have been praying lately for God to bring me someone, I am not talking dating here in this context. what I am saying is to help them, someone who needs me way more then I need them. I really want to change the world, and what better world to change then my own world. Don’t let the naysayers get into your head, let God get into your heart and have His Word get into your head. In my opinion I would much rather have Gods words running through my thoughts, then some no good liar. I was reminded on Sunday of two verses that I used last year as my go to verses, when I felt afraid or just needed God to comfort me. Both of these verses in some fashion go together. Your gentle and quite spirit is your love and compassion for people. Don’t forget to wear it. I was roaming around today, just minding my own business when I over heard a mother and her young daughter talking, they had past some of the magazines in the store and the mother turns to her daughter and say’s “you can’t be pretty and smart, you have to choose.” I kind of stood there, in amazement of how a mother would tell her daughter that she would have to choose beauty or brains. I really wanted to turn around and say that there are so many pretty successful women out in the world. And doesn’t beauty come from the inside out, shouldn’t we be teaching young girls that what truly matters is what we think of ourselves.